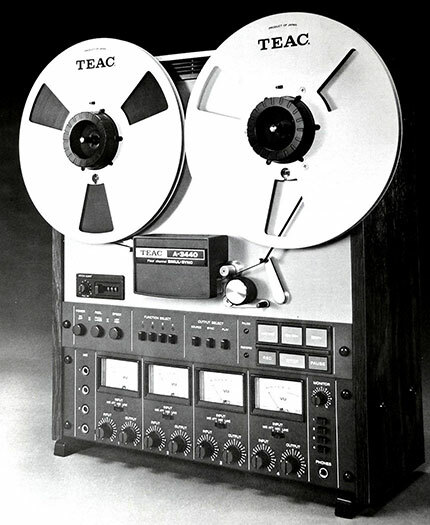 I was thinking about my first ever recording experiences, and while it wasn’t in the field per se, the one machine that ignited the fire in my imagination for recording and manipulating sound was the TEAC A3340 four track recorder. 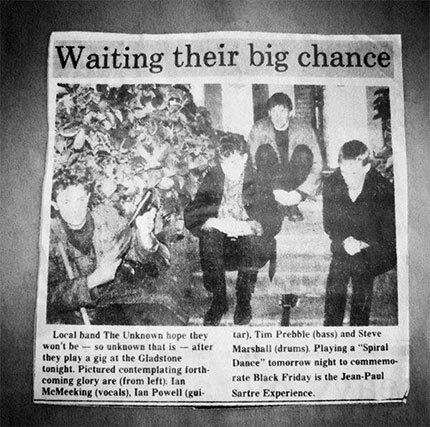 Back in the mid 1980s I was living in Christchuch, playing bass guitar in a band, appropriately named The Unknown. We played lots of gigs, and slowly the desire grew to record some of our music. And after considerable effort we managed to get an Arts Council grant for $500 to record and release a cassette EP. Rather than blow our budget in one session at a studio, our live engineer Bryce suggested we rent a desk and microphones from our friendly PA company and set up our house as a studio for a few days. The one missing element: a recorder. Through a friend of a friend of a friend, we eventually managed to rent a Teac A3340 and I can still remember going to pick it up from a fairly squalid house in Sydenham and noticing the bent spoons on the oven in the kitchen… Didn’t want to think about where the $50 rent was going, but we took this beautiful machine back to our flat, and made the whole set up work for few long days of recording: guitar in the kitchen, drums & bass in the lounge, and vocals in the spare room. ..no copies of the recording now exist, but watching Bryce engineer the recordings and mix down our EP was the first time I actually got to witness music recording and the dream that had been hazy slowly began to clarify itself.